Blog Home > DIY and Renovation Enthusiasts > Should I Opt For Light Or Dark Wood Floors? Should I Opt For Light Or Dark Wood Floors? The choice between light wood flooring and dark wood flooring ultimately comes down to personal preference. However, there are many hidden factors to consider. Navigate your choices successfully and you could see both short term and long term benefits. Choose badly and you could unintentionally create extra work for yourself, and even affect the resale value of your home. Let’s take a look at how you can work with elements such as cost, practicality, and demands on durability to make sure your home is fitted with a well suited hardwood floor. Another top tip in helping to create space goes against the rule of laying the boards lengthways along the length of the room rather than than across the breadth. Depending on the layout of the small room, you may discover that laying the floor on a diagonal helps to give the room a greater sprawl than can be achieved following the usual rules. If you are unsure about this, speak to a member of our expert staff who will be happy to advise you on the correct and cost-effective way to install hardwood flooring on a diagonal angle in your small room. Is lighter or darker wood flooring better for hiding dust and dirt? The answer is that flooring at the lightest end of the spectrum is equally as poor at concealing dust and dirt as flooring that is very dark. Depending on the location of the wood floor a medium tone may be beneficial, but there are other considerations to bear in mind. First, if you are planning to lay a hardwood floor in your hallway, you may wish to consider how water spots introduced by wet footwear could alter the colour tone of your flooring in localised areas. The lighter or darker the tone of your wood, the more noticeable the water spots will appear – this carries the cost of greater rates of maintenance. Maintenance itself carries the issue of time. Certain finishes – such as stained wood floors – require many coats and several days to dry. Many people react to this inconvenience by moving out of their home for a period of time while work is being carried out. Medium tones that help to mask water spots and scuffing are therefore the popular option when dealing with entrances. Another potential morsel of food for thought along similar lines to the consideration of maintenance is that of pets and small children. Do you already own a house trained cat or dog, for example? Or do your halls already ring with the cries and laughter of your very own mini-me? Even if the answer to both questions is no, you may wish to bear in mind that any future plans to own a furry friend or start a family may have an impact on today’s choice of wood flooring. What are we talking about? The thing with pets is that they not only tend to have claws, but they also shed hair and bring in dirt from outdoors. These scratches, scuffs, hairs, and muck will show up much more easily on a darker wood floor as opposed to a lighter wood floor. Children’s toys may also pose a potential hazard to the smooth finish on your hardwood floor. Moulded plastic toys are regularly dropped. Sharp edges could damage exposed oiled floors directly (resulting in scratches that require sanding and refinishing, or perhaps replacing a whole board), or a new finish will need to be applied where your hardwood floor is finished with a lacquer – where you cannot get away with refinishing a single board, this may mean refinishing the entire floor. What can be done? If you have pets or children, or if you are planning on owning a pet or starting a family, consider installing a lighter or medium tone floor that will not show up damage and dirt as readily as a darker hardwood floor. One more consideration relating to cleanliness is that of how often you are available to dust and vacuum your hardwood floor. If your jet-set career takes you away on business on a regular basis, such that returning home is a luxury that you’d rather not waste on dusting your hardwood floor, perhaps consider installing a lighter to medium tone floor that won’t show up the accumulated dust as much as a dark wood floor. This is also a valuable consideration if you are a landlord. Where a property stands dormant for a period between the termination of one tenant contract and the beginning of another, a lighter to medium tone floor will help to minimise the visual effects of any dust that may settle, whereas a hardwood floor will almost certainly appear dulled and in need of attention within days. Undeniably, dark wood floors make a bold statement. The rich tones blend sophistication with a deep and cozy sense of security. In terms of style from an interior design point of view, dark wood floors provide the perfect darkened backdrop for those who wish to create a living space that ‘pops’ with contrasting and complementing furniture. For these reasons, dark wood flooring can be a double-edge sword in terms of mass appeal and resale value. Furniture choices that are seen by some as fearless and fashionable may be seen by others as risky and reckless. When you are ready to move on from your property, convincing any potential buyer that a dark wood floor mixed with adventurous choices in furniture and fittings is the best use of the space could be a problem. In this respect, lighter woods represent an opportunity for potential buyers to project their thoughts onto the easy-to-change canvas of the light wood, as finishes such as oiling and staining can be used to achieve darker tones (without the need of undergoing the cost and labour – and of course the time – of replacing the wood floor). If you are considering your options with resale value in mind, we would also recommend taking into account how any large pieces of wood furniture may match the colour of your hardwood floor. Where the colour of the wood furniture matches the colour of the hardwood floor too closely, the effect on the eye can be dramatic and imposing. Instead, opt for a lighter or medium wood floor that offers contrast to any dark wood items of furniture. Dark furniture could also appear lost and give the room an awkward feel where placed on walls that are decorated in equally as dark or much darker tones – even a correctly chosen wood floor would not help to resolve this issue. The cost of wood flooring comes down to the type of wood rather than its colour. While Oak and Bamboo are darker woods in comparison to lighter Walnuts and the lighter-still varieties of Ash, the cost of the wood comes down to factors such as whether the wood is solid or engineered, and with which type of finish you wish to treat your wood – e.g. brushed and lacquered, brushed and oiled, handscraped, etc. Under certain circumstances involving particularly light wood floors (floors that you wish to appear to be as close to white – known as ‘clear’ – as possible), an additional potential cost that you may face is the cost of the finish that will be required to achieve this ultra light shade. If you were to go ahead with these plans, your wood floor will likely require a stain, perhaps paint, and a specialist custom sealer. If you are interested in pursuing these options, speak to us today for expert advice on installing the lightest colour wood floor possible. 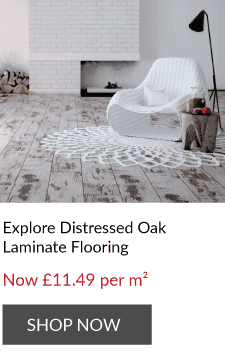 If you have recently purchased a property that is already fully decorated, you may find that changing to a lighter or darker wood floor would mean that the decor no longer suits. You may then find that the cost of redecorating is greater than simply keeping the themes and tones as they are – at least for the time being. This is understandable – the hidden costs of relocating to a new property can often be sky high. Whether you are ready to decorate now, or whether you have time to plan, there are a few considerations to bear in mind that could help you to make wise and beneficial decisions in the long term. 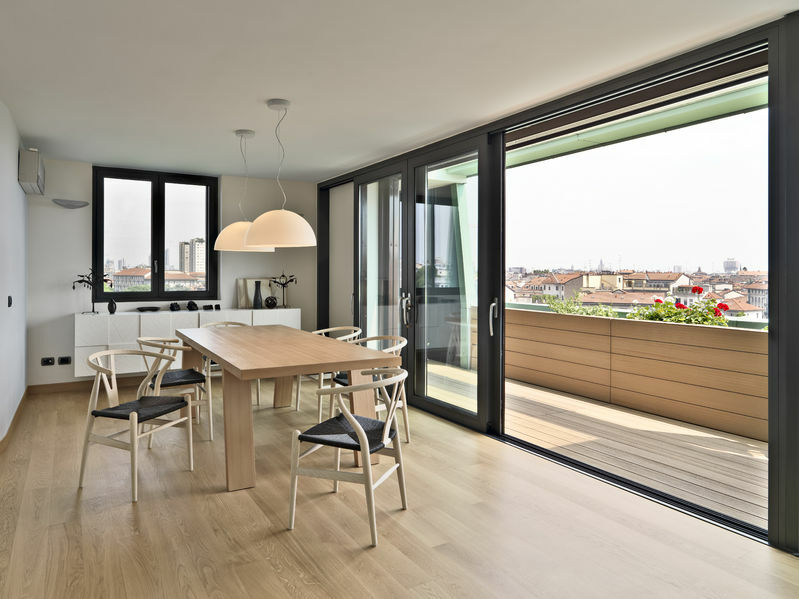 Natural Light – If your property has limited natural light, a dark floor could further drain the room of any warmth, vibrance, and sense of space. A brighter tone could help to make use of what little light is available. Where you are planning to install a hardwood floor in a corridor, also keep in mind that the walls at either end of the corridor should not be painted or decorated in darker tones than the colour of the wood floor – this will give the corridor a closed in feel that can be easily avoided with the addition of neutral wallpaper or paint. Rustic Look or Modern Look – Your interior design ideas may focus on certain themes. For example, if you are attempting to recreate a more cozy and lived in rustic feel, a dark wood floor may be the right choice for you. This is because dark wood floors match more aesthetically with the kinds of furniture and fixings associated with a more provincial and restful design. Where you wish to create a modern, polished, and vivid living space, a lighter wood floor may be the correct route. This is because lighter woods lend themselves to the crisp edged style furniture and metallic fittings designed for modern sunlit areas. …a note on seasonal ambiance… There’s no element more divisive than ambiance. Restaurants, bistros, and upmarket bars spend untold fortunes on trying to get it right, and no two patrons will ever agree. Matching your furniture and fittings to your chosen shade of hardwood floor is crucial to creating warmth in the winter and an airy and decluttered appeal in the height of humid summers. Get it right and you could benefit from this small but free boost when it comes to resale value and securing a fast deal. As we have seen, light wood floors and dark wood floors work well in different settings. Factors such as a foot traffic, room size, and resale value in terms of current style trends all play a part in helping you to make an educated decision on which type of hardwood flooring is best for you. Remember, whatever you choose, the evidence is overwhelming that hardwood floors add value to your home and offer superb longevity and generally lower maintenance costs compared to other flooring solutions. Speak to a member of our friendly team today for expert advice and guidance on which type of hardwood floor is correct for your home. 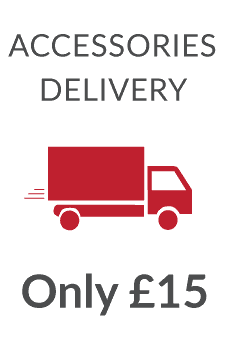 Call 0161 641 9996 or visit the Discount Flooring Depot homepage to request a callback. Above all, a hardwood floor should help your home to flow. We’re ready to help you to make the difference in your home.